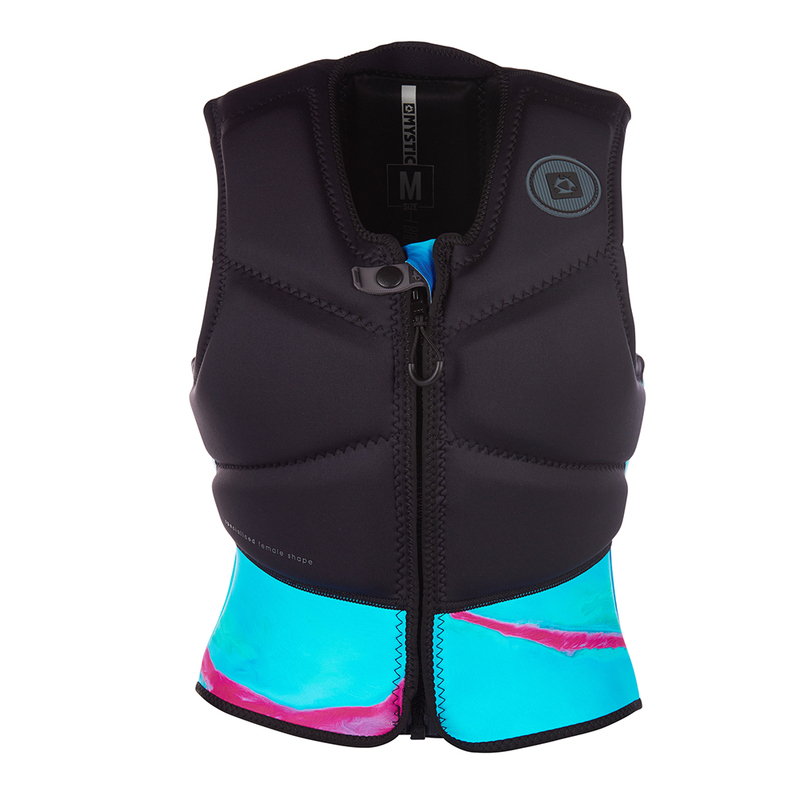 Great womens impact vest for Kiteboarding. 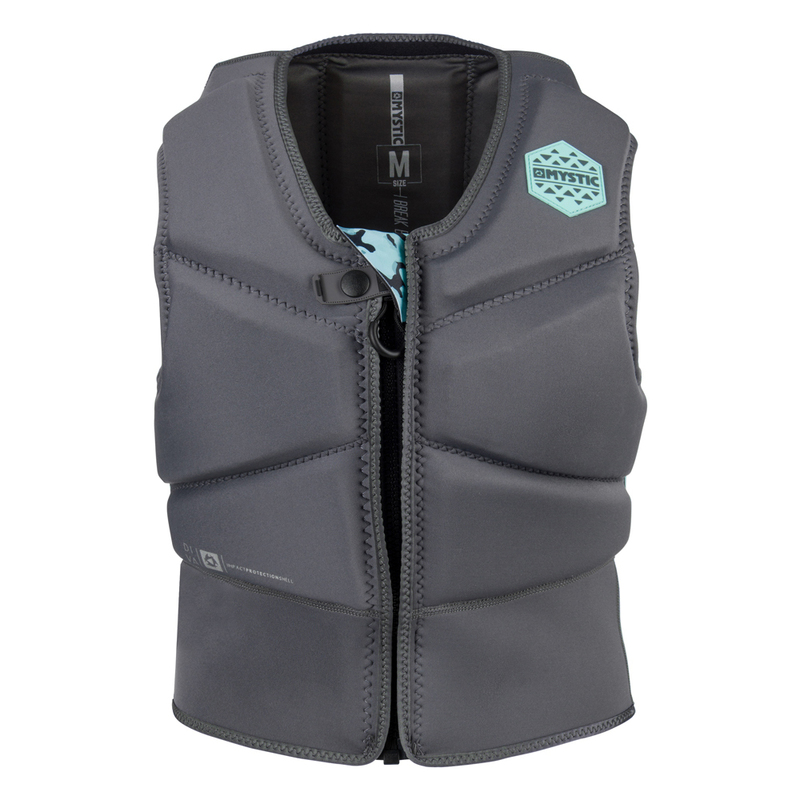 A mainstay of the Mystic vest line, the new 2018 Diva vest returns with new construction, features, and enhanced protection with the use of Mystic's new NBR foam. The new sublimated graphics looks better than ever. 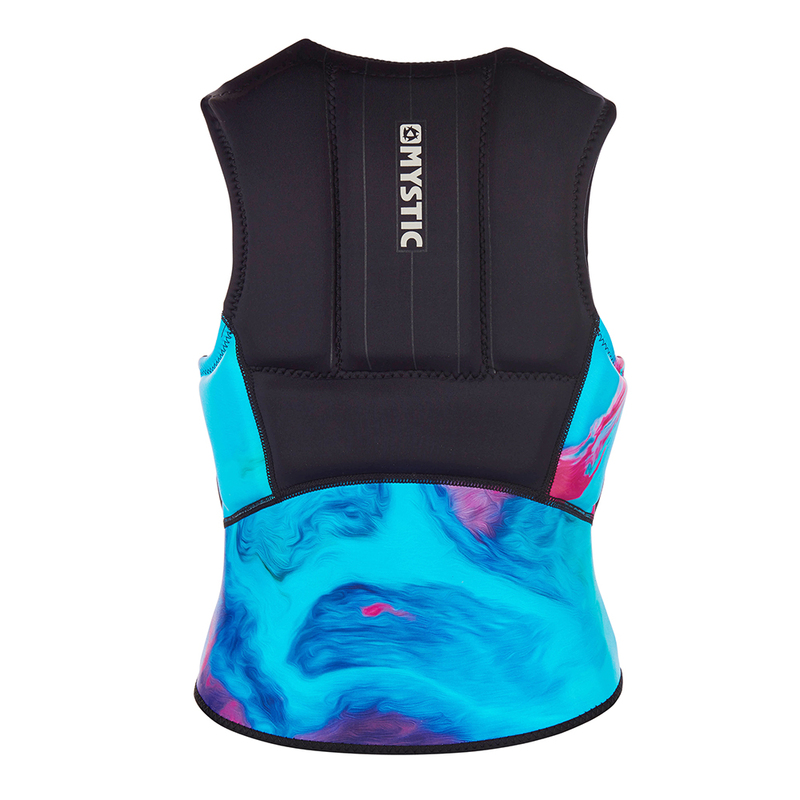 The Diva graphics run throughout the Mystic wetsuit, quick-dry and apparel line.